A selection of pre-built templates have been created for your use that contain a number of stages to cover particular scenarios. These may be used as completed Workflows in their current form, or can be edited once created to remove or add further stages and actions. Please Note: In order to make use of templates, you will need to have the relevant GatorMail components already created. These requirements are detailed for each template type in the description field. This will launch the template selection screen. Use the dropdown to select the template to view. A preview of the selected template is shown here. This contains a brief explanation as to what the template provides and the GatorMail components required in order to use. 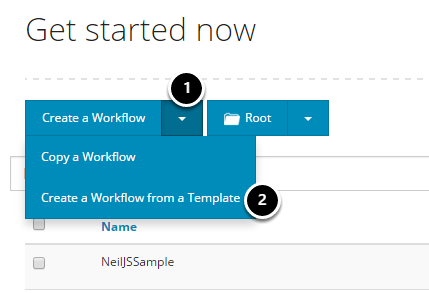 Select 'Next' to launch the Creation Wizard for the selected template. 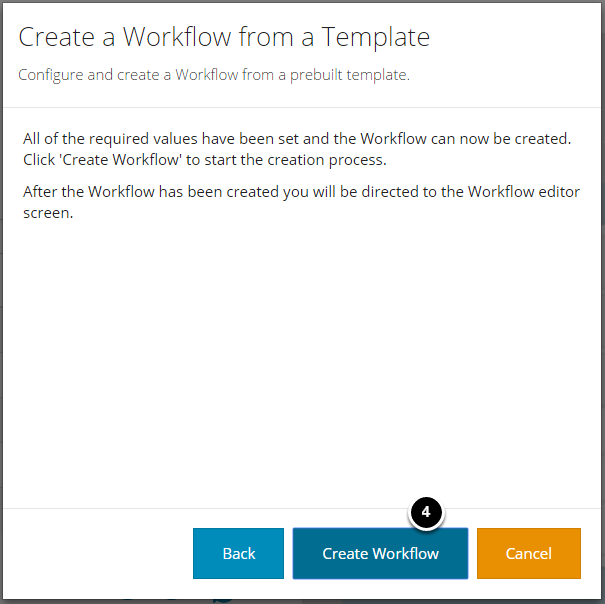 You will need to supply the Workflow details in order to save and test your Workflow. The name you would like to save your Workflow as. Any notes/description of what the Workflow does. The test email address (one or multiple can be supplied by adding one per row). The folder to store your Workflow in. 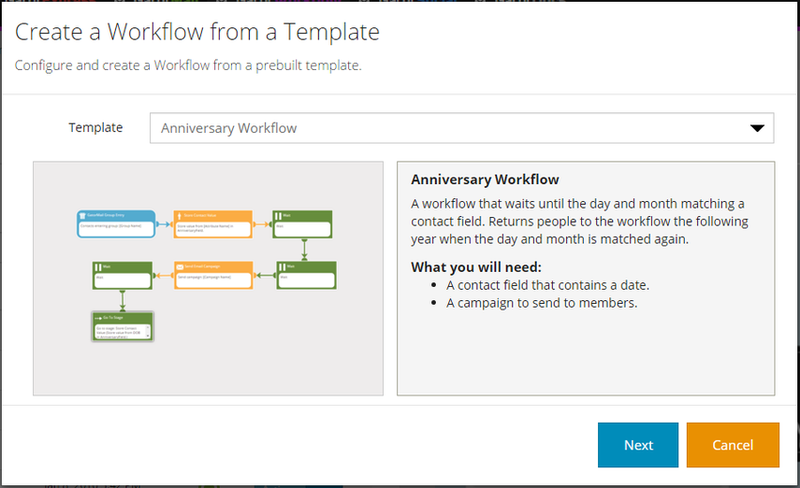 You will now be presented with a number of prompts in order to connect the template to campaigns, groups, etc that exist in your system. Each template will have different prompts based on the purpose of the template. We will be using the 'Anniversary' template to illustrate the prompts shown. 1. 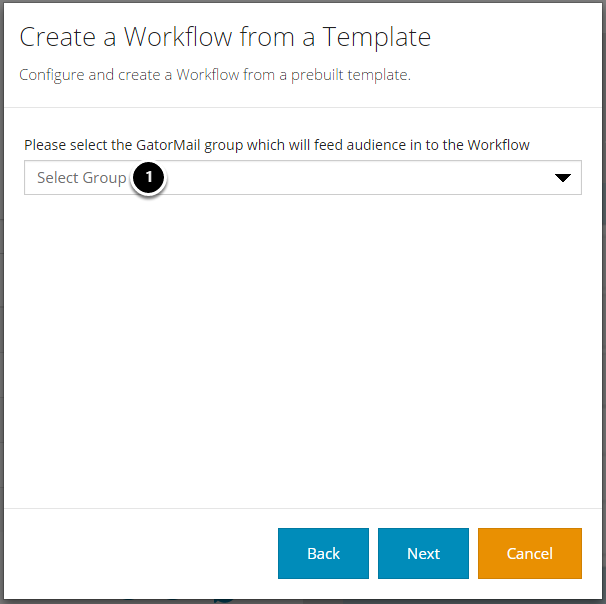 Select the group within your GatorMail instance that will be used to feed members into the Workflow. 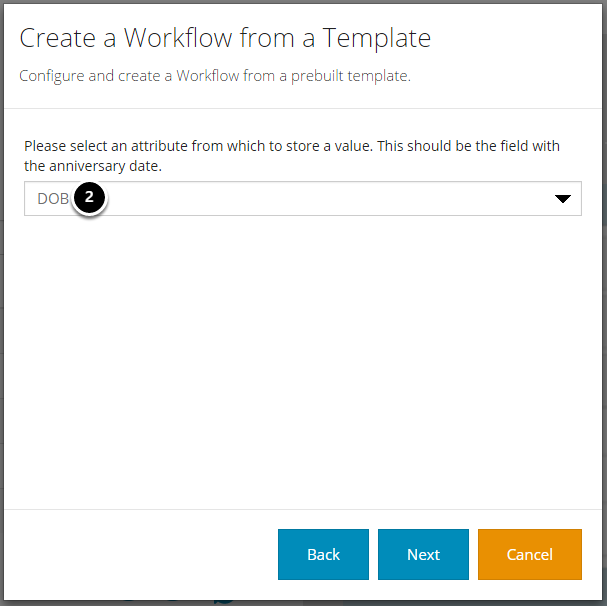 The anniversary template requires you to select a field within the database that holds the date that you will be using. 2. Select your date field from the dropdown list. 3. Select the campaign to send to members. 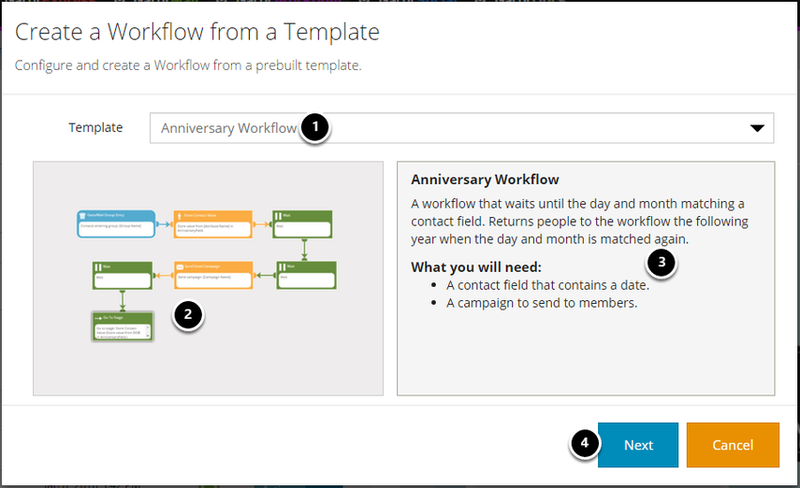 Once all prompts have been responded to, the wizard is ready to create your workflow. You will then be launched into your new Workflow. 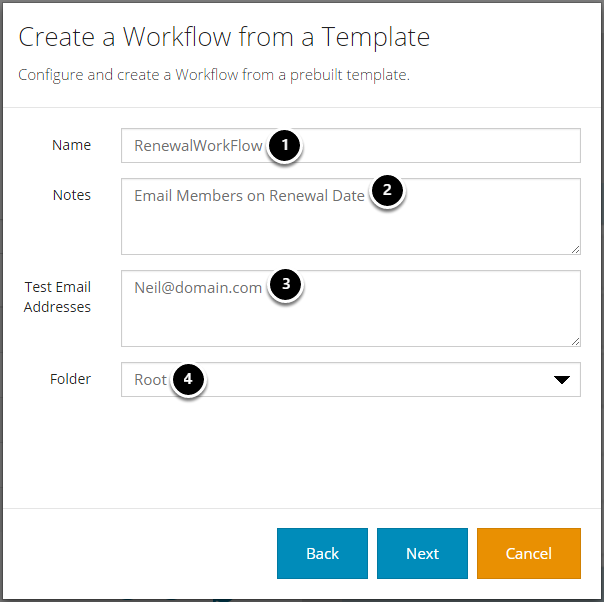 From here you are able to Test, Publish or make alterations by removing or adding stages.